Steve Christie (B Mus) is a multi-instrumentalist, composer and sound engineer from the UK. He trained at Air Studios, London in the 1990s. As an assistant sound engineer he has worked with the likes of Elton John, Simply Red, John Williams, Sir George Martin, Mark Knopfler, Ray Cooper, Hans Zimmer, Tony Visconti, Bruce Lampcov, Giles Martin, Gus Dudgeon, Lulu, John Luard-Timperley and Greg Penny. Steve has perfect pitch and the ability to hear and instantly play back complex chords and arrangements. He is a classically trained pianist, but is equally at home in the jazz and pop idiom. He studied Jazz and Baroque Keyboard at Southampton University. He is also skilled in vintage keyboard repair, and has recently overhauled a 1955 Georges Jenny Ondioline, Hammond M102 Organ, Jennings Univox J6 and Hammond Solovox. 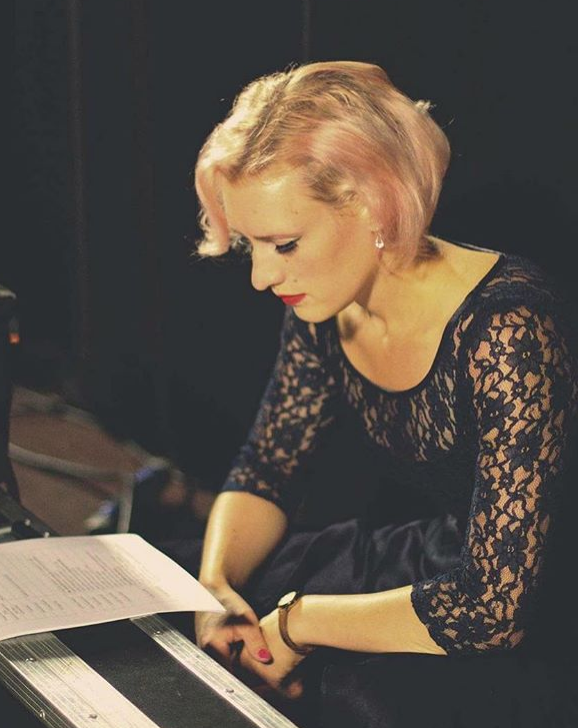 Louisa Revolta is a multi-talented Singer, Composer, Pianist and Saxophonist. Also proficient in flute and clarinet. One third of The Spitfire Sisters and a co-writer with fellow musician Steve Christie. She is also skilled music arranger and voice coach, and also particularly good at vocal mimicry. Steven Moulster is a Sound Engineer with many years' experience with the BBC. He is also a talented arranger and our in-house photographer, and responsible for many of the VKS Records covers and most of our detailed instrument photography.